Pictures of the Nike referee kits 2018-2020 are released. Eric from French blog Arbitrez Vous gives me permission to share pictures from his blog with my readers. Because they kits are in different colours than previous years, I hope you want to share your thoughts. What do you think of the new colours? In the new Nike brochure, there are even more pics. 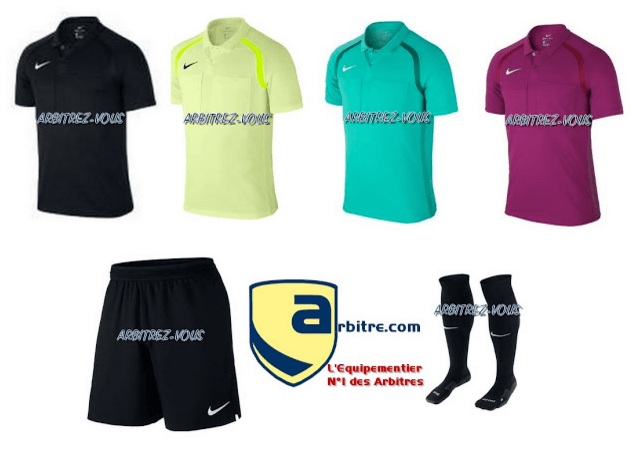 Nike referee kits 2018-2020. Pics via blog Arbitrez Vous. Thoughts on the Nike referee kits 2018-2020? Share your thoughts about the new kits? Do you like the colours? So far they are not available yet. These are a first glimps on the new outfits. 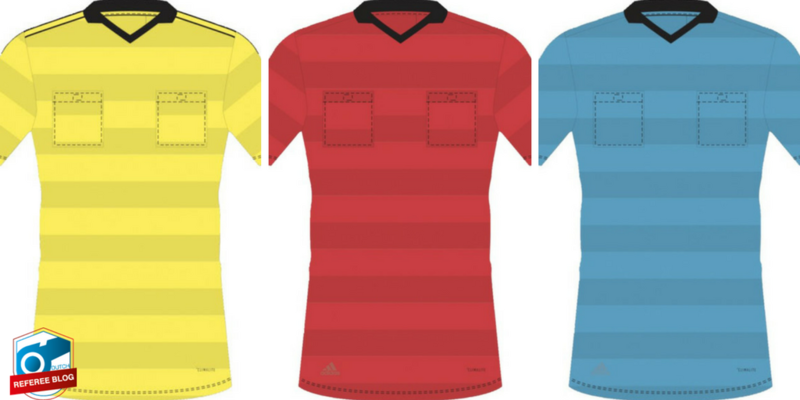 Great news: Referee kits 2018 World Cup revealed. Not by Adidas yet, but ‏@hendocfc on Twitter found the pictures online. Referees will wear the new referee kits during the World Cup in Russia. 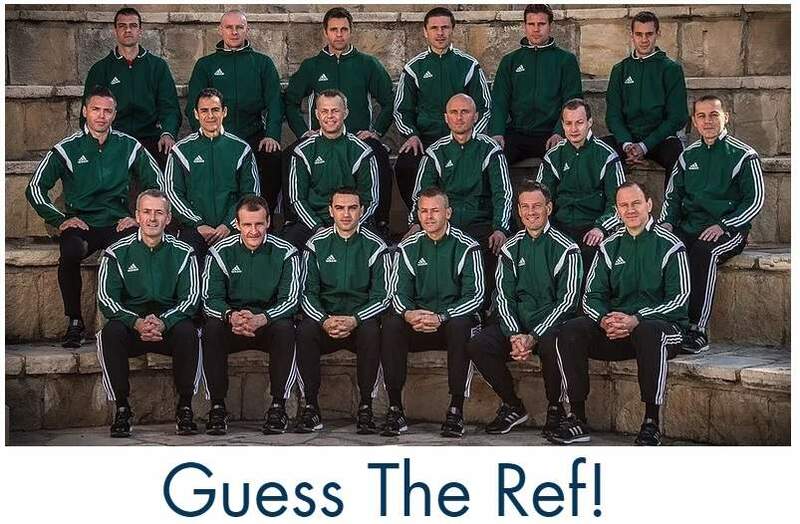 Referees from countries sponsored by Adidas will also wear them during the 2018-2019 season. What are your thoughts on the new referee kits? 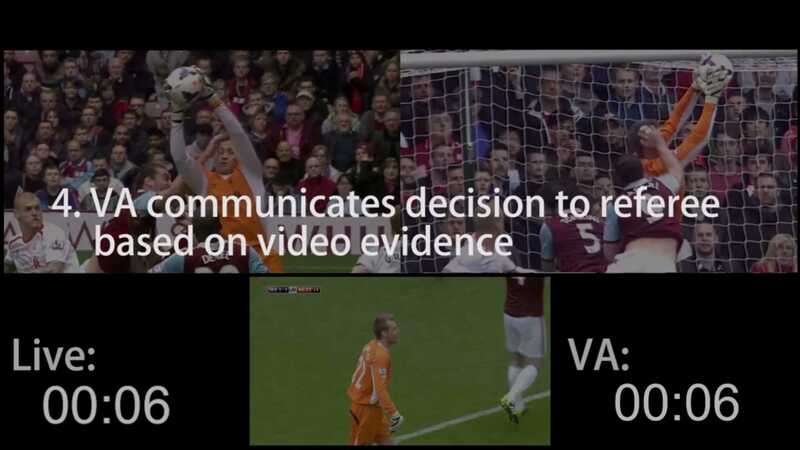 As referees you need to know how you perform. If you see how much you run, what your heartrate is or where you run on the pitch, you’ll get an idea of how you perform during a game. And you’ll see how you can improve. On Twitter I got in touch with Louis Bird and he’s passionate about the Apple Watch for referees. 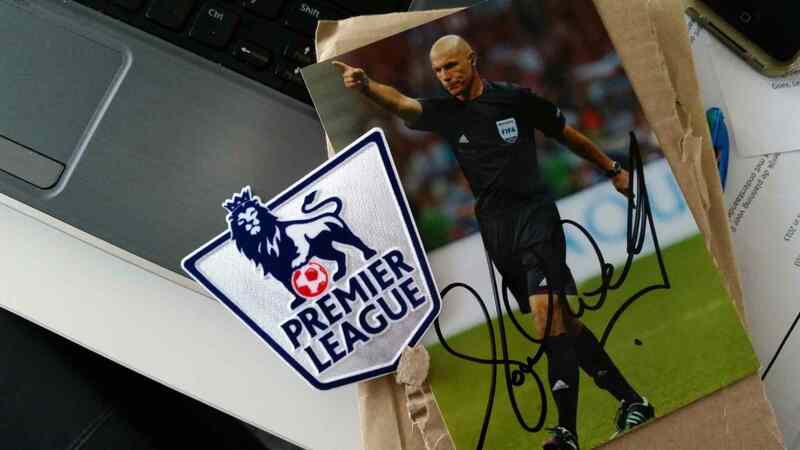 In this blog he will explain you the ins and outs of using the Apple Watch during your game as referee. He also uses a timer on the watch, but will focus on measuring activity. When I referee I use an Apple Watch Sport addition with a white sports band in the 42mm case size. I bought the Apple Watch because of the fact I live within the Apple Eco system and the fact I have an iPhone 6s+ means I can get all my match data easily on my iPhone without any need to connect to a computer. The convenience of the device makes it so quick and easy to use and gain the required data which I need. During the game you can track distance, heart rate and calories burnt. The most frustrating thing about the Apple Watch is the lack of onboard GPS. This means you cannot see where you ran most on the field of play, it’s very restrictive in that sense. Maybe Apple will add GPS into the second generation of the Apple Watch. The Apple Watch has an optical heart rate monitor built into the watch which records your heart rate throughout the day. This feature is very useful because you can see your heart rate during and after the game. After your game the app will only display the average heart rate, but it is still a very useful feature on the Apple Watch and I’m glad it Apple decided to include it. 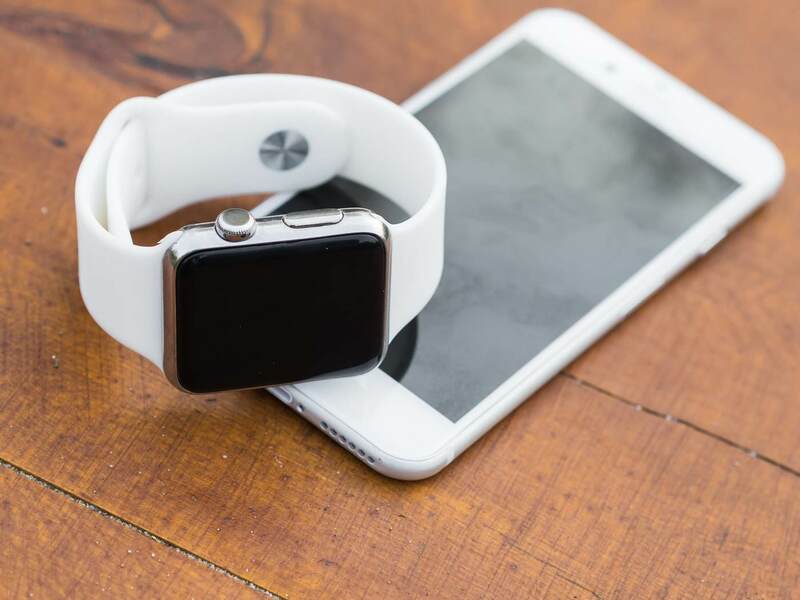 The Apple Watch gets more and more accurate as you start to do some exercise while bringing your iPhone with you (explanation of Apple Watch “calibration”). The Apple Watch uses your iPhones GPS to take an average of your speed, so when you run without your iPhone then it guesses roughly your speed and calculates the distance. Because I’ve had my Apple Watch for a long time now it is pretty accurate. I’ve tested my Apple Watch along side my Nike+ sports watch and I’m happy to say the Apple Watch was showing roughly the same data measurements. The data above is the kind of data I would see after each game I officiate in. The data which the Apple Watch shows you is your active calories, time elapsed and average heart rate throughout your session. You can also set the Apple Watch up with a session that records your distance run throughout your session but I don’t record the distance when I referee so that I can tell the difference between my sessions when I view my data. 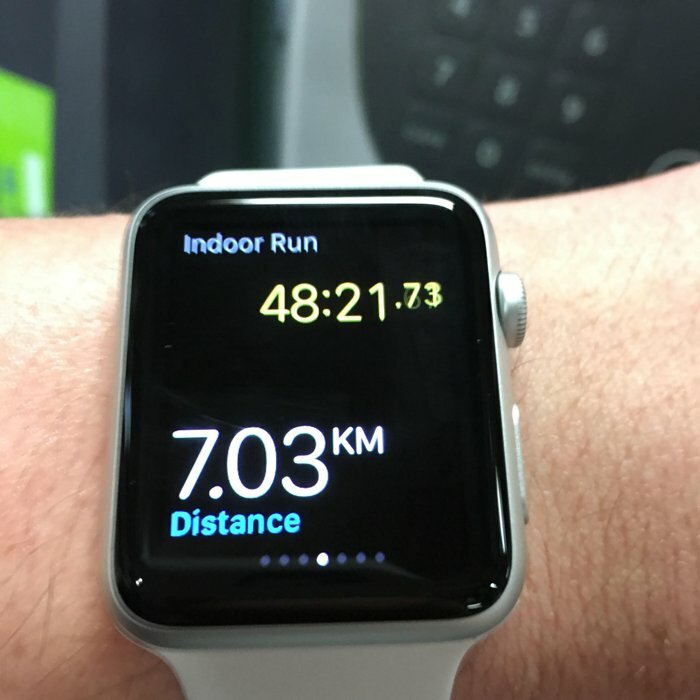 The Apple Watch does record your total distance throughout the whole day, so even if you didn’t record the distance during your workout then you can still view your total distance. The image above shows the main dashboard you will see when you open the Apple Watch app. You can see your stats that you achieved for the whole day. Stats such as distance and steps can be seen here. When using your Apple Watch during your game you can see your heart rate, distance and calories burnt. 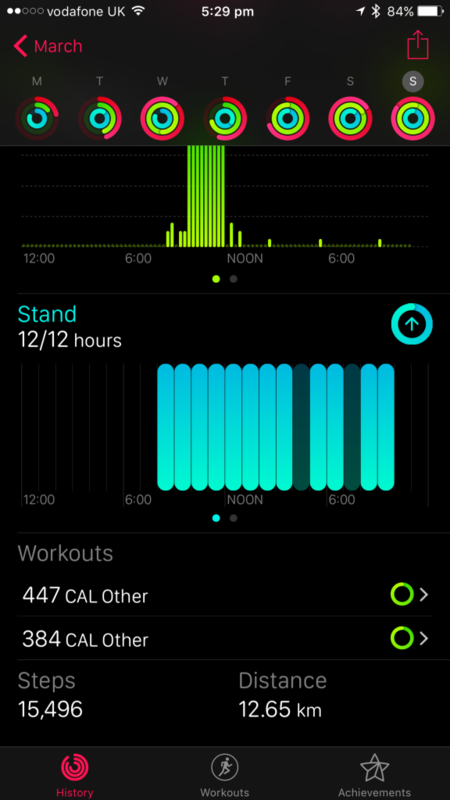 The image above shows how the Apple Watch displays the data when doing a workout. I took this picture when I went to the gym so that you could see what it looks like to see all the data displayed on the Apple Watch. 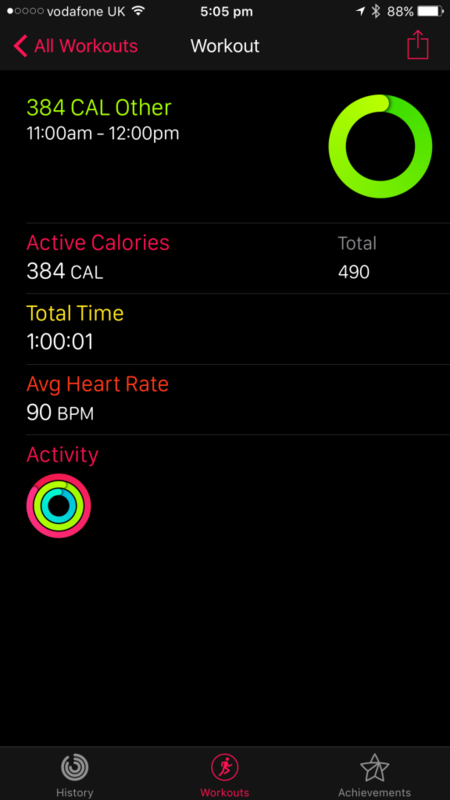 If you swipe across the watch face you can get other data measurements such as heart rate and calories burnt. For the most accurate heart rate measurements you can pair any Bluetooth heart rate chest strap straight to the Apple Watch. I’ve done this a few times when working out and it does help improve the accuracy of the data. Most of the time I check my data straight after my match when I arrive home because I like to see what I’ve just done. I’m always amazed and surprised how far I run during each match I referee in. The image above is what you see when you first open the Apple Watch app. 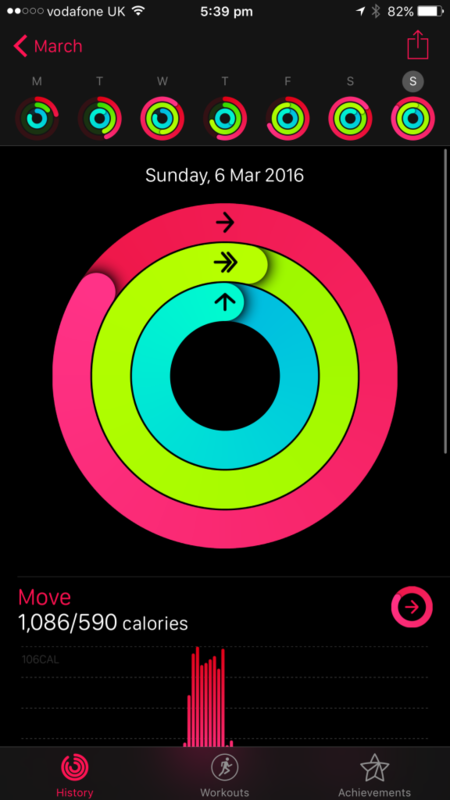 The red ring is the calories burnt, the green is ring is the amount of minutes of exercise done and the blue ring is your stand goal. With the stand goal you will achieve the hour when you stand up and move around for at least one minute every hour. When you first set up your Apple Watch it will prompt you to set a calorie goal and this is the goal the watch will want to reach each day. The best thing about the Apple Watch is that you can swap and change the bands you wear with your watch. I have two Apple Watch bands. I use one watch band when I’m doing exercise and the Milanese loop band which I use for general day to day wearing with my Apple Watch. I use this band every time I’m not doing exercise with my watch. I feel it’s nice to have a different watch band to use for my daily activities. If you have any questions for Louis, please respond below. A question for all referees: how do you measure your performance? What apps or watches do you uses? 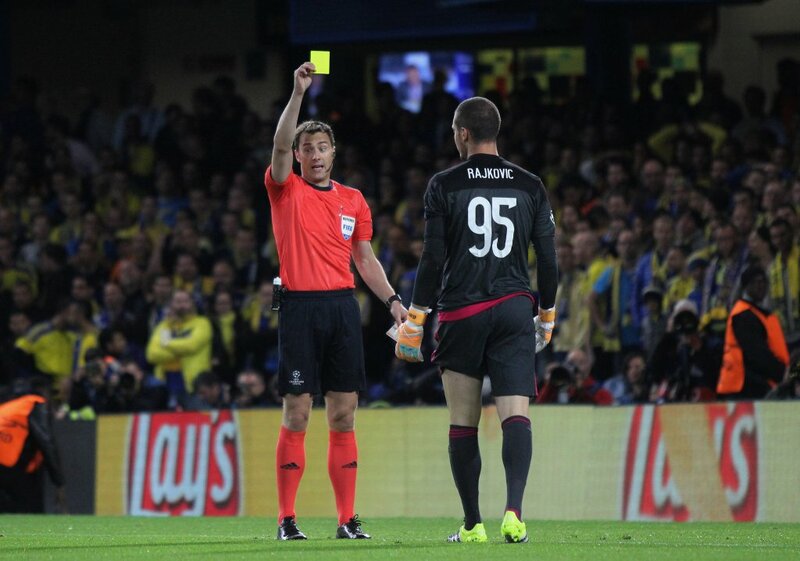 Please share your experiences below or get in touch with me via dutchreferee@gmail.com for an article on this blog. Always interesting news when a kit supplier shows the new outfits. 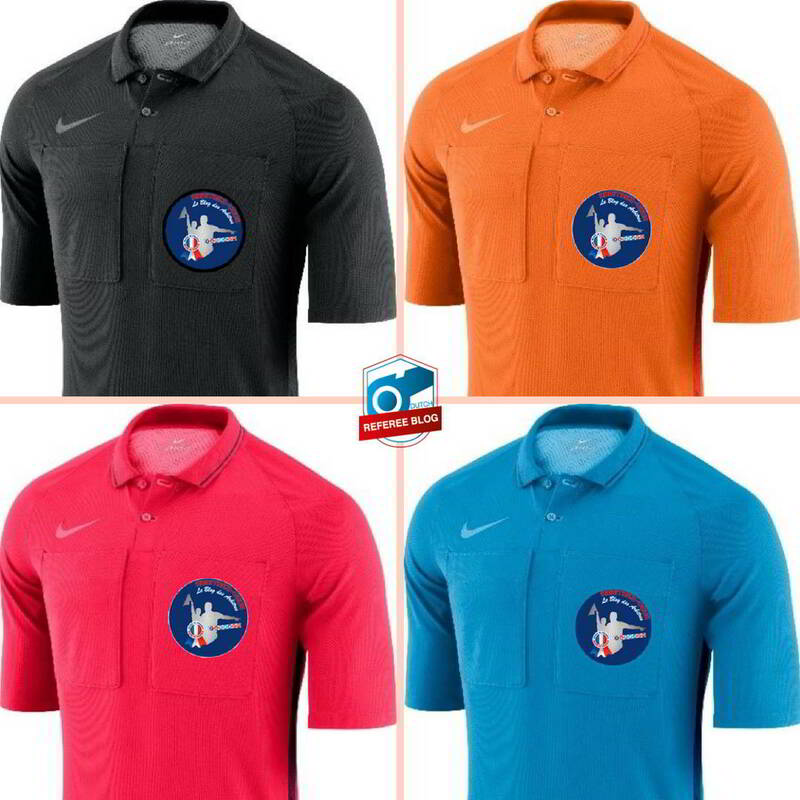 Check out the Nike referee kits for 2016-2018. There’s of course a black outfit. The yellow one is much lighter than before. There’s also again a green one. And the new colour is purple. What are your thoughts on the different colours? The picture is from arbitre.com a French webshop that already has the opportunity on their website to buy them. Curious what Nike has published before? Check the 2013-2015 kits. In a brochure the new Adidas referee kits for the 2015 Champions League were announced. No grey referee shorts which caused a lot of confusion last year. What do you think of the new outfits? I usually don’t get nice mail in my mailbox. It’s just bills, taxes or printed ads. This week was different. I opened the mailbox and there was an envelope with the text “By air mail”. 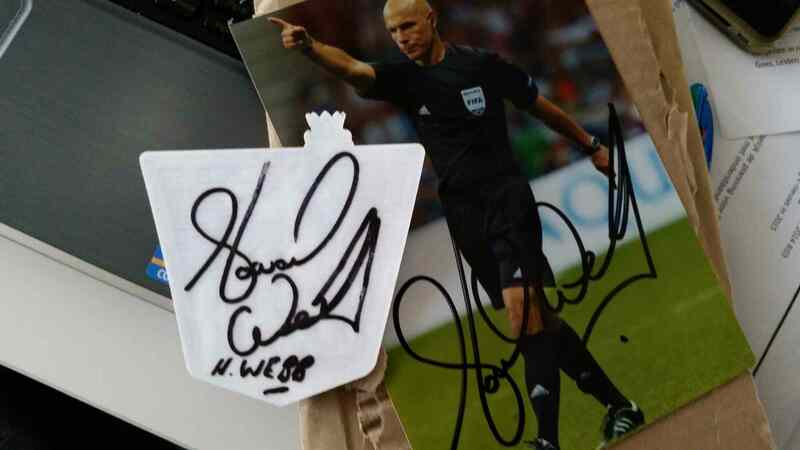 I opened and and saw that I got a Premier League badge from Howard Webb. Fantastic! I’ll send him a “thank you” e-mail and ask about the interview again. Not sure if he has time for that, but please let me know already what you want to know from him. 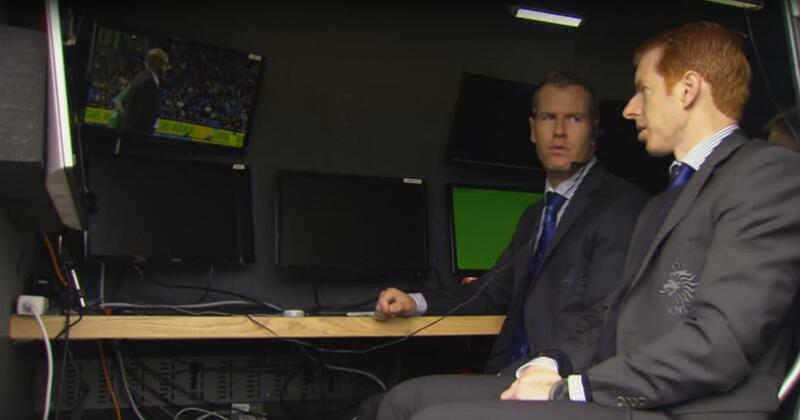 So, what is your question for Howard Webb?